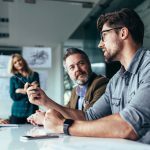 Laserfiche WebLink is a powerful, user-friendly public Web portal that enables organizations to share read-only versions of specific documents with the public online. 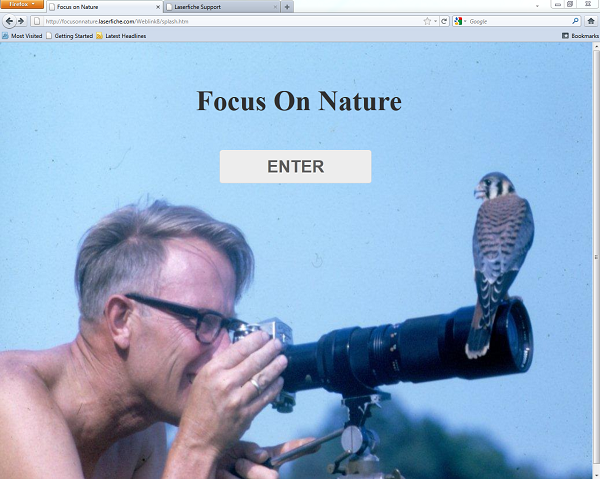 Here’s how, in under 15 hours, we created a WebLink portal to display an archived collection of nature articles. 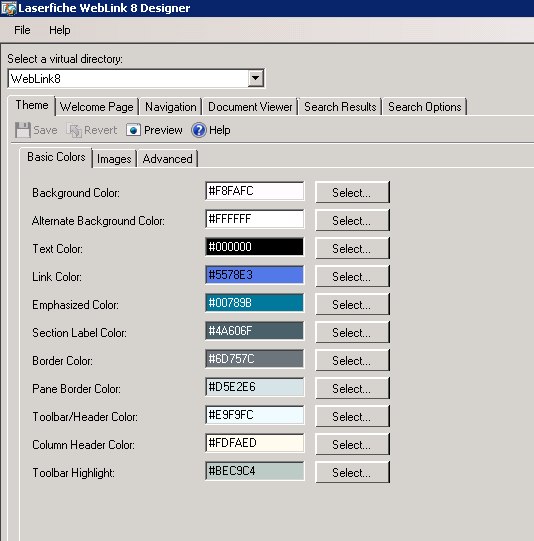 For our portal, we wanted to change the default colors of the WebLink interface to ones that fit our needs. In order to do this, we were able to use the WebLink 8 Designer to easily select the color of the text, background, links, etc. It was important to us that visitors to the site could only view certain columns in the actual folder browser: Name, Date Created, Date Modified, Page Count, Is Indexed, Template Name and Volume Name. We also wanted to choose the order in which the columns are displayed. We did this by clicking on My WebLink (which is usually located next to Help), and then Browse Options. b) We then opened up the Basic template and selected the fields we wanted to display. 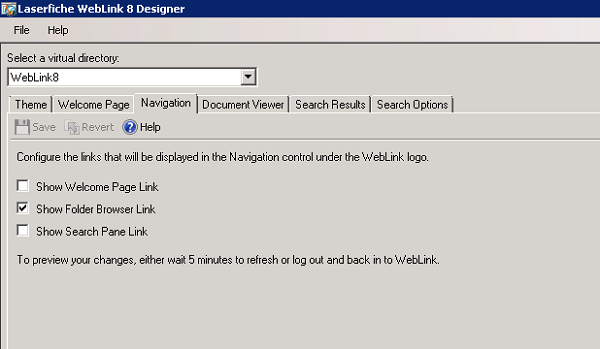 We set the display order using the up and down arrows.c) Since we did not want other users to be able to modify the column view, we hid the My WebLink menu by following the instructions outlined in the “Weblink 8.2 Basic Customizations” white paper (pg. 10). We wanted to customize the search so that users are only able to search within Text and Entry Names. We did this by checking the corresponding boxes in “Enable Search Types” in the Quick Search Options. We also disabled Fuzzy Search because we wanted the search to be as fast as possible. 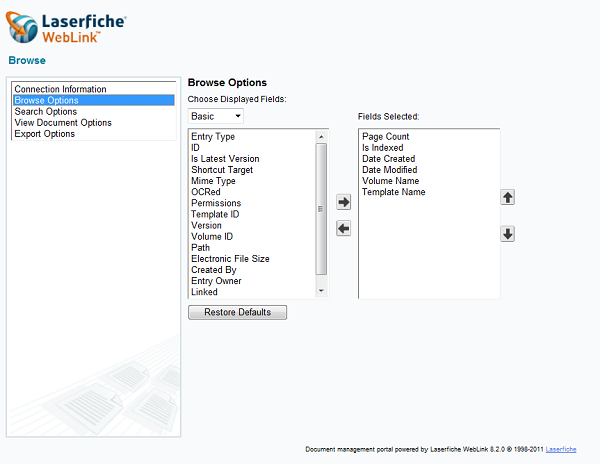 It was important for us to enable users to browse the folders directly when opening the portal. Since we were designing our own custom Welcome Page (described below), it would be cumbersome for users to have to click through two different Welcome Pages before they had a chance to view the content. 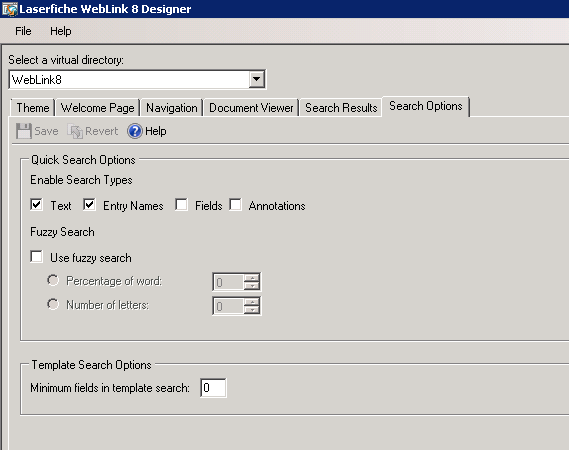 In order to configure those settings, we selected Show Folder Browser Link in the WebLink 8 Designer. 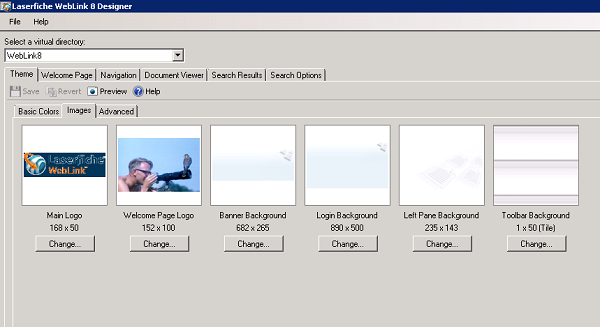 The standard images did not fit our needs, so we were able to customize those in the WebLink 8 Designer as well. We not only chose a new logo but also different backgrounds for various parts of the page such as the toolbar and the panes. 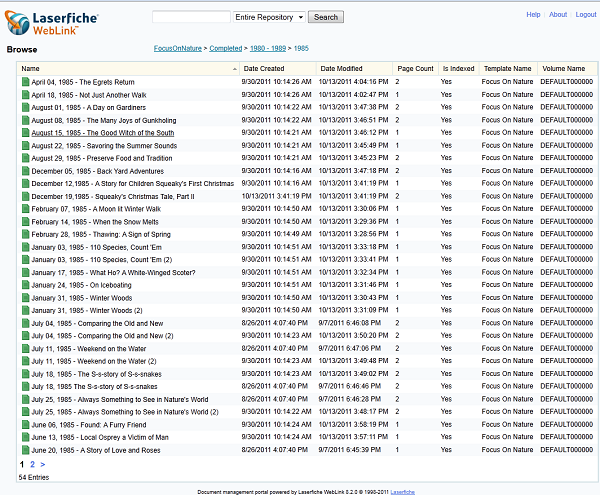 This configuration gave us an easily navigable, public interface for viewing decades’ worth of articles that had been previously scanned into the repository using the Standard scanning mode in Laserfiche.